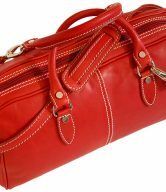 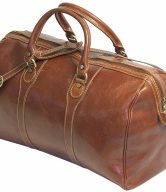 The Trastevere Duffle comes in 4 colors – Tuscan Red, Orange, Vecchio Brown, and Black. 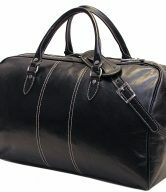 Inspired by the oldest neighborhood in Rome, the Trastevere Italian Leather Duffel Bag featuring high quality polished Italian calf-skin leather, a great design and amazing value, is great as travel luggage or just for every day use. Convenient, as it fits nicely into an airline’s overhead compartment so you can make a quick exit from the airport. 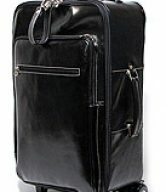 Besides the variety of colors, it has both shoulder and hand straps making it easy to handle. 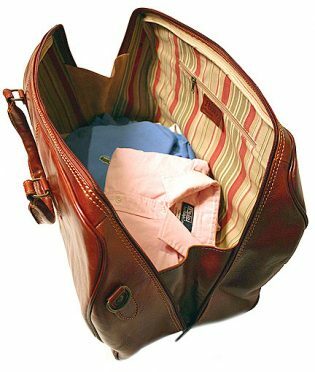 There is also an inside zip pocket to store smaller items you may need access to during your travels. 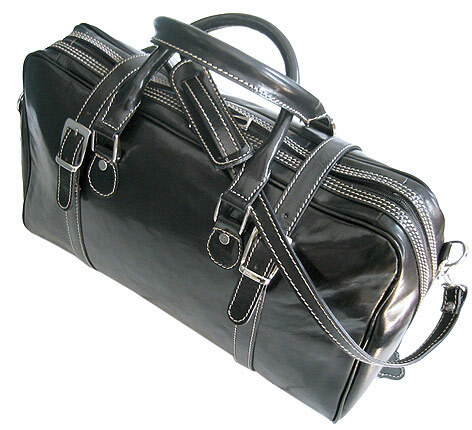 This highly durable leather duffle bag looks rugged and stylish.